Hermione loves to dance. She takes three dance classes a week and spends most of her time at home putting on shows. She also loves unicorns and anything sparkly so when it came time to plan her 5th birthday party a Unicorn Disco seemed like the perfect theme. To help execute my vision I once again turned to the amazing Keren Precel of Simply Perfect Events. Keren really knows how to take an idea and run with it. From the amazing ceiling of balloons and disco balls, to the giant inflatable unicorns, to the DJ that indulged Hermione in her constant Britney Spears song requests the party was perfect. 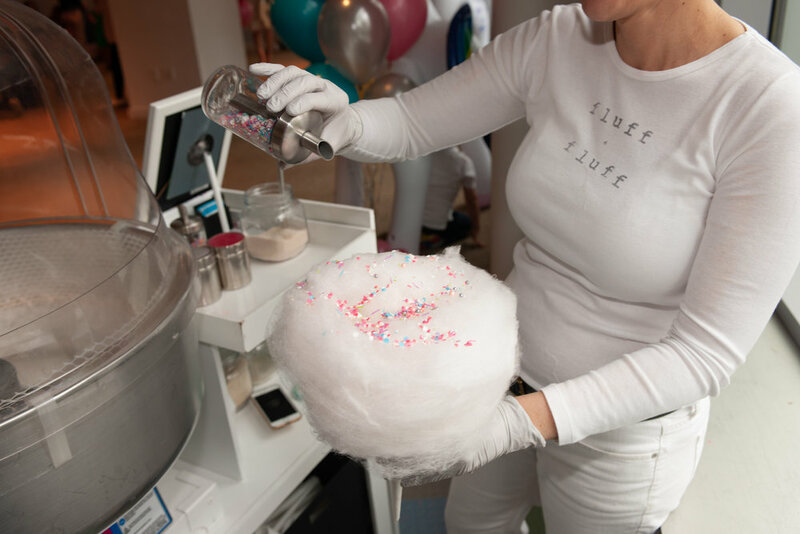 As a special treat for the kids I enlisted fluff + fluff to set up a cotton candy station with rainbow unicorn sprinkle toppings. Let's just say there was a constant line for the whole party. Even the adults enjoyed the sweet treat! Myself included. 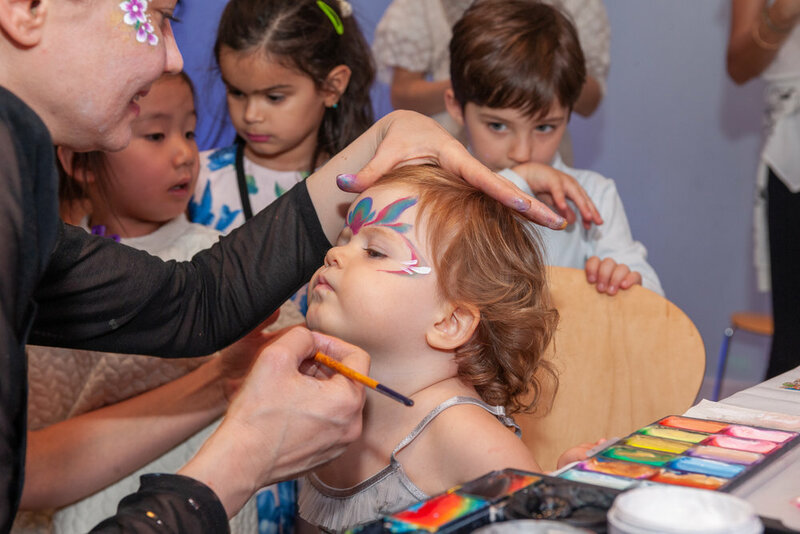 To get the kids dance floor ready we had glitter face painting from Glitter Me NYC and a jewelry station complete with disco ball necklaces, fun sunglasses, bracelets and rings. After the kids filled up on vegan pizza, veggies, hummus and different mediterranean spreads it was time for dessert. As usual masterful baker Semadar Gordel created a stunning vegan cake for us. Complete with a disco dancing unicorn and filled with rainbow sprinkle it was quite a sight and so so delicious! When the party was over and the kids were all danced out they each went home with a copy of Zoogie Boogie Fever by Sujean Rim. Almost two weeks later I am still thinking about this party and how fun and special it was. Hermione had the time of her life dancing with her friends. Five feels like a milestone year. This is the last birthday she will celebrate in preschool and I have a feeling the celebrations may get a little smaller from here as the years go on. We are not that many years away from her wanting intimate slumber parties with a few friends. I am very grateful I got to throw her such a special bash while I still can. Happy Happy Birthday to my big girl who will always, always be my baby.